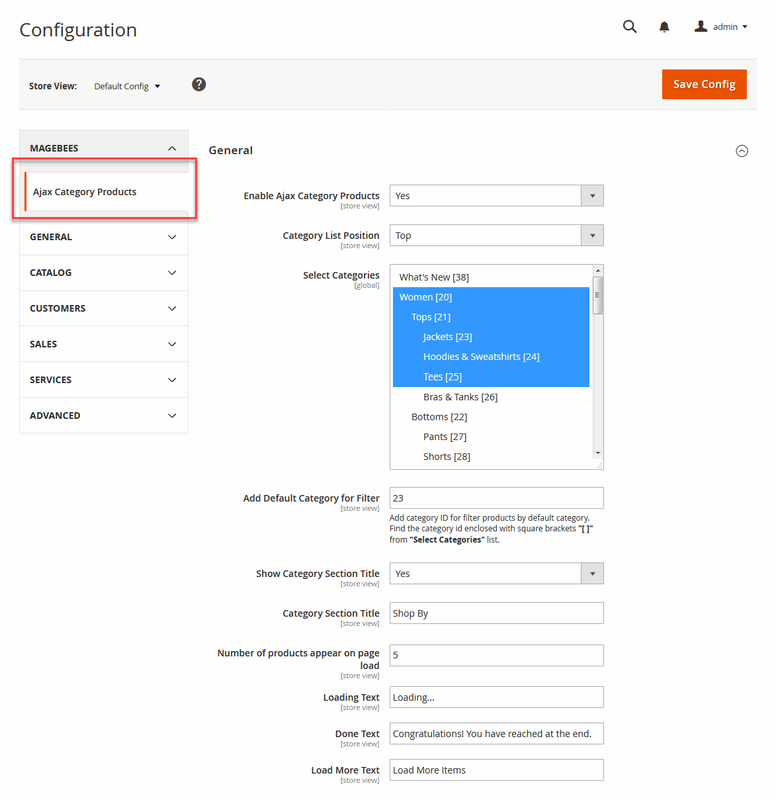 Enable/Disable the module from admin panel. Option for choosing category list position in front-end (Top/Left). Category chooser option for categories that you want to display in front-end category list. Option for setting dynamic title and label text such as category section title, loading text, done text, load more text, etc. 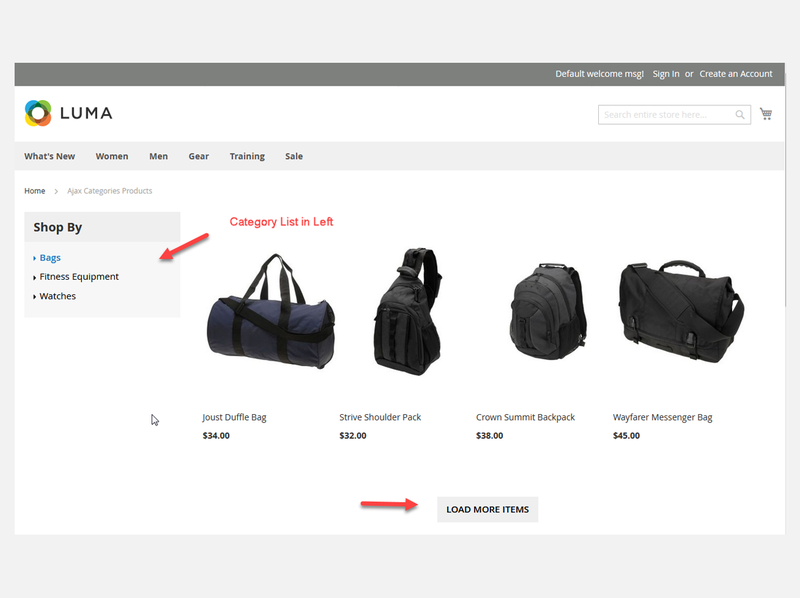 It allows to set number of products that appear on loading the page and load more button. It creates widgets with different options. This extension is generally used to display product list based on category using Ajax. 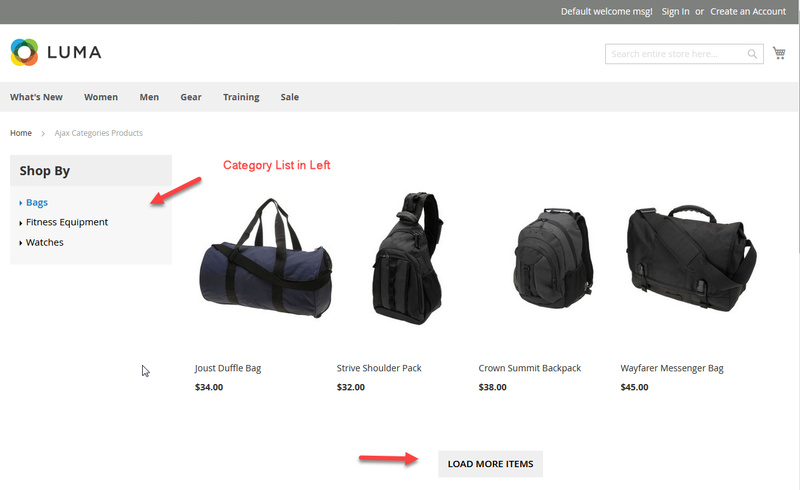 It helps in loading the next page of the products by AJAX after the end of the list. You can display list using predefined short-code and widgets. 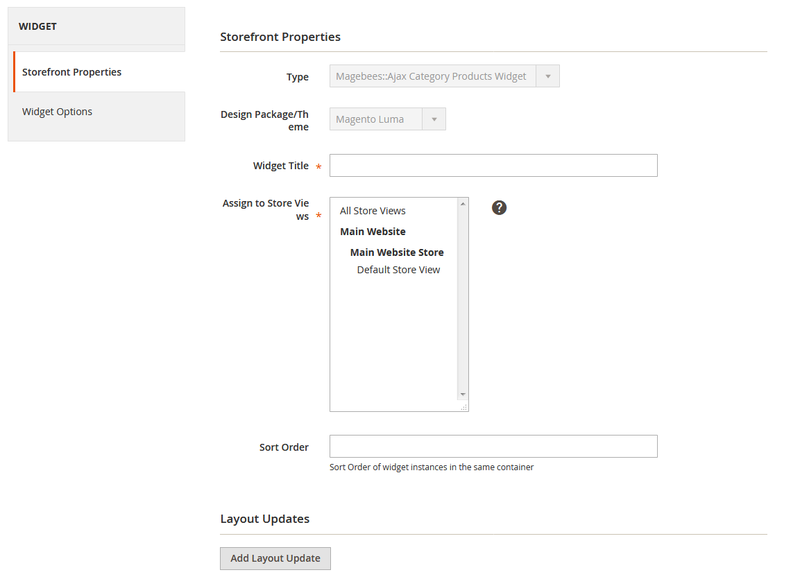 How Magento 2 Ajax Load More Products Extension works on Front-End? 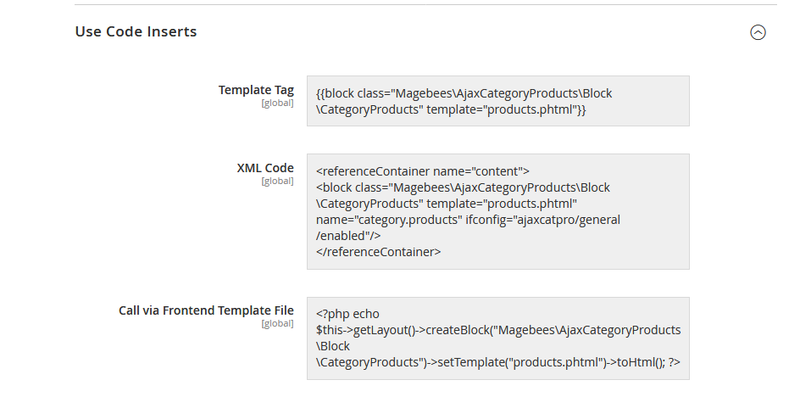 I must say this is one of the most useful Magento 2 extensions from MageBees. We use it to apply category filters and display an attractive product list using Ajax. Also, loading the next page of the catalog is now easy. The main benefit of using the Ajax load more products extension is the ease of shopping that it offers to customers. It helps them find products quickly and thus expedites the shopping process. Definitely worth investing your money. Go for it. Honestly, this is by far the best extension for a website that has a large number of products. I am amazed by the simplicity of the module. And one more thing that works in the favor of MageBees.com is their support services. Worth considering them for your Magento extension needs. This extension does precisely what the portrayal says it would do. This new extension has made it substantially much easier for my clients to surf the product pages on my site and find precisely what they searching for rapidly and helpful. Extraordinary extension and the specialized support is dependably there to help you ! Works out of the box...Highly suggested. This module is very simple for display filtered products by category. It uses ajax for load products and more products if available. 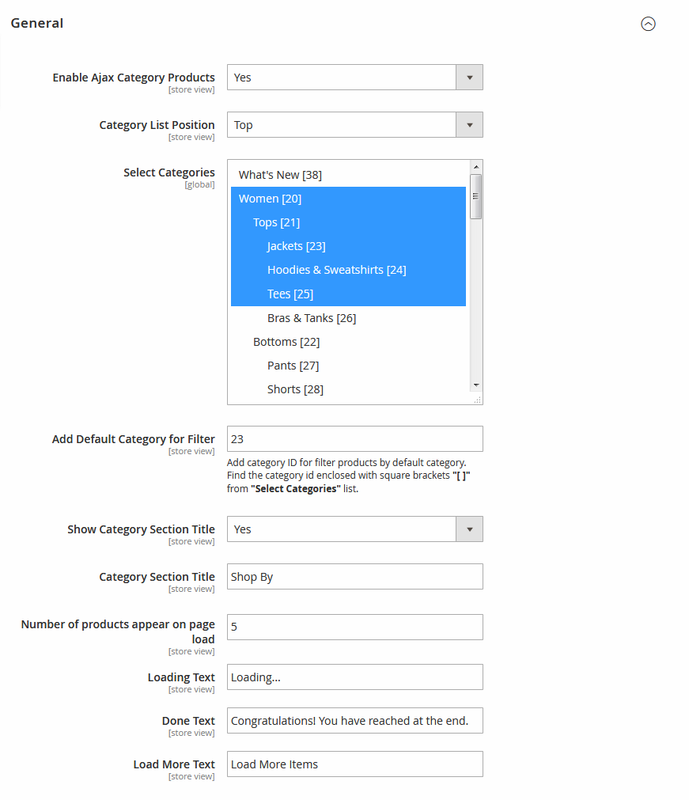 Just select categories from admin and your filter are ready with its products. Q-1: I have Installed Ajax Category Products Extension. I got following error. “There has been an error processing your request”. “Please upgrade your database: Run bin/magento setup:upgrade”. Ans: Run “php bin/magento setup:upgrade” command to your terminal or command prompt. Please see installation steps for that. Q-2: Category does not display results. Ans: Please check category and its products. 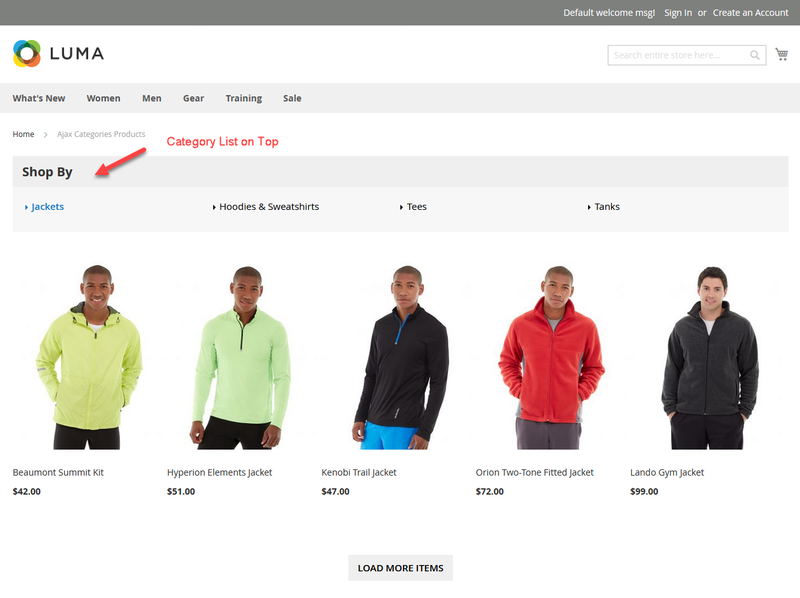 If products are not assigned or assigned products are not visible in frontend then that product will not display. Q-3: I am getting an error in the console for not found js, How to solve this problem?